We offer superior cleaning backed up by our Inspection experience! Credit Card Payments Available online! Do I Need to Clean My Panels? Yes. Just like dust gathers on your shelves and window sills, environmental debris is constantly building up on your panels and decreasing their efficiency. While some may only see a slight increase in output after washing, other homeowners report up to a 30% increase in efficiency. 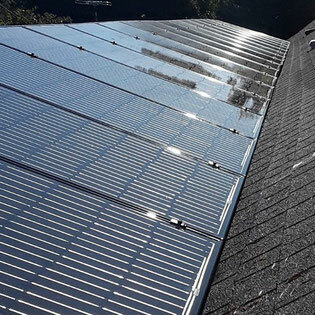 How Often Do You Need to Clean Solar Panels? It's recommended that they be serviced annually. There are environments where bi-annual service would be best, such as in dusty and arid climates. Here in the Central Valley we have extended dry periods also compounded by agricultural factors your panels should be cleaned bi-annually. 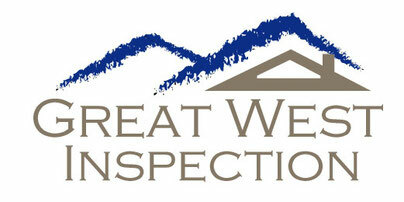 What makes Great-West Inspection different than any other cleaning company? We are certified and trained Inspectors and will check the panels and power lines as well as the roof mounts for cracking and other defects. We have over 25 years of inspection experience. Our fee is $145.00 for up to 20 panels and $5.00 for any additional panels. Our bi-annual plan is discounted 20% at the time of the second appointment. Call us for special pricing for two story houses. Call us at 209-658-5066 to set up your schedule your appointment. Our Zero Package Low Residue Water cleaning system includes: Our state of the art low flow water fed pole, and non-abrasive soft brush that will leave your panels clean dry, working at optimal performance levels.